You have a unique opportunity to visit these local engineering hot spots! Field trip descriptions are included below. All students should wear long pants and have closed-toed shoes for all field trips. For outdoor field trips, please dress appropriately for February weather in the Pacific Northwest. Please note, some field trips have specific requirements that must be met prior to the students being able to attend the field trip (requirements are listed below). For field trips that require a signed permission form, the forms will be distributed approximately 2 weeks prior to the E-week event. Students must return the completed permission forms prior to the E-week event. Blount is the world's leading manufacturer and marketer of cutting chain, guide bars, and chain drive sprockets for chain saws, and a leading manufacturer and supplier of outdoor equipment parts. Blount is also known for it’s OREGON® brand, which is the choice of the trade in more than 100 countries around the world. Known for its innovative spirit, the company focuses on manufacturing products that offer a superior competitive advantage and hold leading market share positions. Blount has always been headquartered in Portland, Oregon, but also manufactures in the United States, Canada, Brazil and China. The Portland-area headquarters include product design, manufacturing method design, manufacturing fabrication, and manufacturing facilities, which means that the Blount engineers in Portland are not only design the best chain saw components in the world, but they also test those parts (just consider for a moment all the ways you can test a chainsaw), they are designing and constructing the specialized equipment that builds the chainsaws, and they are design and managing the production system that manufactures the chainsaws. If you like watching “How It’s Made” then this is your dream field trip. Everyone has heard of The Boeing Company and knows they build airplanes, but what exactly does that mean? Students will visit Boeing’s Portland fabrication site where numerous large airplane structural parts are designed and constructed. In addition, the students will interact with Boeing engineers to learn more about their daily lives while working in a large, successful company. The City of Portland’s Wastewater Treatment and Pumping Systems Division has a pool of mechanical, chemical, civil, and environmental engineers implementing anything from small projects to multi-million dollars of long lasting infrastructure. Consisting of two treatment plants and almost a hundred pumping stations across the City, the Division has hundreds of horsepower of connected equipment and many miles of industrial piping facing corrosion, fatigue, and erosion modes of failures. The team of engineers and operations and maintenance staff constantly work with challenging and varying hydraulics (gaseous, liquid, and semi-solid) using hundreds of controls and monitoring instruments, biological treatment systems, and chemical feed systems. The facilities include a co-generation system that generates 1.7 MW of power using renewable energy recovered from wastewater operations, and a bio-CNG facility is currently under construction too. These facilities offer a world of opportunity for engineering students of many interests, and the chance to be in a field with stable growth that is not as susceptible to economic influences. Every year, both high school students and engineering students have a chance to have an internship with the Division. The City strives to make the internships exciting and to expose students to an array of experiences, working in teams with operators, maintenance staff, engineers, drafters, construction staff, and consulting engineers, all with the intent of protecting public health and the environment. The Division is excited for the opportunity to host an Engineers Week field trip again, and will have a lineup of staff ready to give students more information on what they do every day. 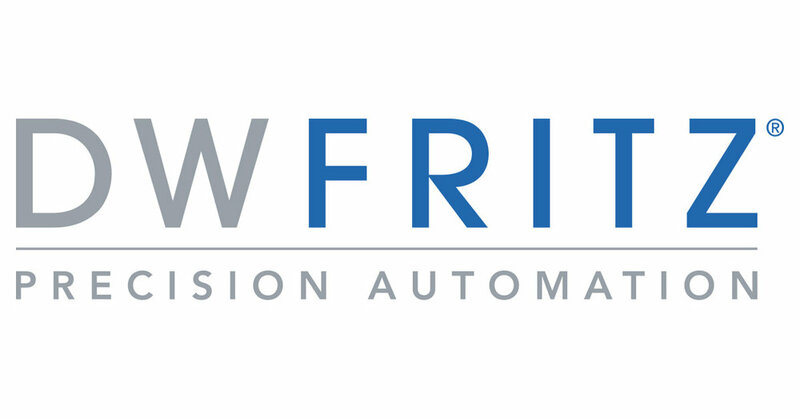 DWFritz develops and manufacturers engineered-to-order automation systems that assist with metrology (measurement), inspection, assembly, and testing of high-volume manufacturing of products. This involves the collaboration of Systems, Software, Mechanical, and Applications engineering disciplines. Students will tour a portion of the DWFrtiz Manufacturing center in Wilsonville, Oregon, and learn about the design, planning, and creation of some of the automation systems that DWFritz develops. Grant High School is the third PPS high school to be modernized as part of the 2012 School Building Improvement Bond. Grant’s modernization will completely reconfigure and update learning spaces with a focus on indoor environmental quality, sustainability, and historic preservation. Construction began in the summer of 2017 and students are scheduled to return to a Modernized Grant in the fall of 2019. This is a good opportunity to witness mechanical, structural, and electrical engineering in progress, as well as seeing the results of architectural planning and design. The Biomechanics Lab was established in 1999 to design, test, and evaluate novel orthopedic treatment methods that can be applied to direct patient care. The lab has state-of-the-art equipment for inclusive research and testing capabilities, combining design, prototyping, macro and sub-micro scale material testing, motion analysis, and finite element modeling, and has a shop with a full complement of precision machine tools. The lab demonstrates how collaborations between orthopedic surgeons and engineers have produced compelling findings that have led to the development of new devices and processes that address unmet medical treatment needs. Students will interact with lab staff and talk about each of the different projects, getting a hands-on introduction to how engineering research can improve treatment of injuries. Founded in 1979, Micro Systems Engineering, Inc. is a pioneer in developing innovative technologies and medical devices that save and enhance the quality of life for millions of individuals living with cardiovascular disorders. Micro Systems Engineering, Inc. focuses on medical devices for vascular intervention and electrotherapy of the heart. Its products include pacemakers, implantable cardioverter-defibrillators (ICD), closed-loop stimulation devices (CLS), cardiac resynchronization therapy devices (CRS), leads, catheters, a magnesium bioresorbable stent, measurement and ablation systems for electrophysiology, vascular intervention products for treatment of stenosis and occlusion in arterial vessels, guidewires, balloon catheters, stents and stent systems for coronary and peripheral diseases, and related technologies such as the external devices used to monitor implants. 1) Cardiovascular Research: Cardiovascular engineering research involves the application of engineering principles and technologies in the conduct of basic cardiovascular research and in the pursuit of new methodologies and devices for the diagnosis, prevention, treatment, and remediation of cardiovascular problems. 2) Neuroengineering: Neuroengineering research involves the application of engineering principles and technologies in the conduct of basic neuroscience research and in the pursuit of new methodologies and devices for the diagnosis, prevention, treatment, and remediation of neurological problems. 3) Biomedical Optics: Optics is a branch of physics that examines the behavior and properties of light and the interaction of light with matter. Photonics is the science and technology of generating, controlling, and detecting photons, which are particles of light. The biophotonics lab conducts optics research with an emphasis on light propagation in biotissues. 4) Nanotechnology: Nanomedicine and Nanobiotechnology is a branch of engineering that involves the development and application of materials and devices to study biological processes and to treat disease at the level of single molecules and atoms. It also involves manipulating materials at the nanoscale to achieve superior performance in the diagnosis, prevention, and treatment of disease. Tour of Portland International Airport. PDX is the 29th largest passenger airport and the 24th largest cargo airport in the United States. The airport encompasses 3,296 acres, with three runways and includes the Oregon Air National Guard base. In 2014, there were 214, 279 commercial, general aviation and military operations, 15,568,679 passengers and 222,822 short tons of cargo which went through the airport. This tour highlights the infrastructure at PDX that supports the aviation operations. The tour will give students access to the airfield, follows the perimeter road and highlights aircraft movement areas, navigational aids, Oregon Air National Guard base, ground run up facility, storm water treatment facility, airfield fire station and various other features of the airport. Rockwell Collins is a pioneer in the design, production, and support of innovative solutions for the aerospace and defense industries. Rockwell Collins specializes in flight-deck avionics, cabin electronics, mission communications, information management, and simulation and training worldwide. In Wilsonville, Oregon, Rockwell Collins engineers design and develop head-up and helmet-mounted displays for both commercial and military applications. On this field trip students will interact with Rockwell Collins engineers and get to check out how the displays are designed and how they work! The tour will include a change to fly with a head-up display in a simulator, try on a fighter pilot helmet with an integrated display, see infrared testing and tour the factory where these units are made. Vestas is the only global energy company dedicated exclusively to wind energy. Since Vestas was founded in 1979, Vestas has gained a market-leading position with more than 58 gigawatts of installed wind turbines, comprising around 19% of total global capacity. The goal at Vestas is to bring wind energy on par with oil and gas, thereby addressing the growing demand for electricity. The tour will include an overview of the company, a tour of their training center (where several wind turbine nacelles are on display), as well as a discussion of what Vestas engineers do in the field of wind energy. Oregon Iron Works is a major manufacturer or structural and mechanical products such as bridges, buildings, hydroelectric equipment, marine crafts etc. Oregon Iron Works takes customer's designs and determines how to build and make functional products within specific timelines, budgets and specifications. Engineers must do many things from setting up manufacturing stations, determining manufacturing sequences, welding, interpreting codes, moving equipment and more! In this field trip, students will tour the corporate headquarters and main manufacturing facility where many managers, engineers and craftsman work to produce steel and metal products. Students will visit the construction site of the Washington Park Reservoir Improvement Project, a $190 million project. The Portland Water Bureau is rebuilding the Washing Park reservoirs, a project that continues through 2024. The Washington Park reservoirs have been in service since 1894. When completed, the project will supply water to Portland’s west side and serve more than 360,000 people, including all downtown businesses and residents, 20 schools, five hospital complexes, and more than 60 parks. This system of water conveyance and storage makes Portland a livable and thriving community, ensuring public health and accountability. This project is building a new 12.4-million gallon, seismically reinforced below-ground reservoir, within the footprint of the existing Reservoir 3 (upper) with a reflection pool/water feature on top. While retaining the historic look and feel of the original reservoir, it has been engineered to withstand ongoing landslide encroachment and potentially catastrophic effects of a major earthquake. The existing Reservoir 4 (lower) is disconnected from the public drinking water system and is being developed into a lowland wildlife habitat area, bioswale, and reflection pool.